Despite the surge in smart technology, consumers are concerned about the security and price of smart appliances, according to a recent YouGov survey. 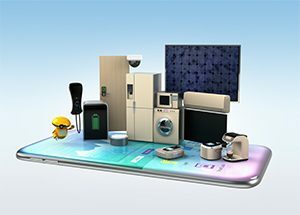 Smart appliances are relatively new additions to connected home technology. The study shows that while 62% of US consumers are aware that smart appliances, over half are not knowledgeable about it. Of those surveyed, 36% expressed the belief that smart appliances are overpriced. Other concerns include hacking/cyber-attacks, data privacy, and the inability to use smart appliances in the case of an internet outage. Consumers in the 35 years and older demographic show more concern for smart appliance security. 37% have concerns about hacking/cyber attacks and an additional 36% worry about data privacy. 31% of those studied between the ages of 18 and 34 believe smart appliances are overpriced. 38% of those studied who are 35 years or older believe the same thing. Only 21% of consumers say they’re fully aware of smart appliances and know a lot of information about them.